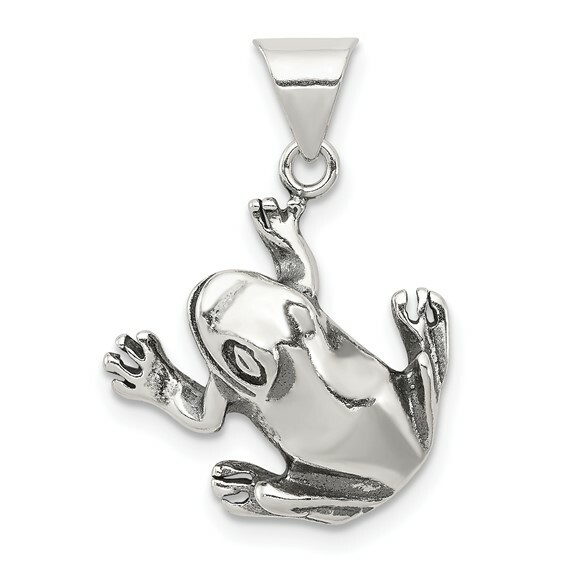 This sterling silver antiqued frog charm is very small. Measures 9/16 inch tall by 9/16 inch wide. This item is half the size of a quarter. Weight: 1.87 grams. Import.